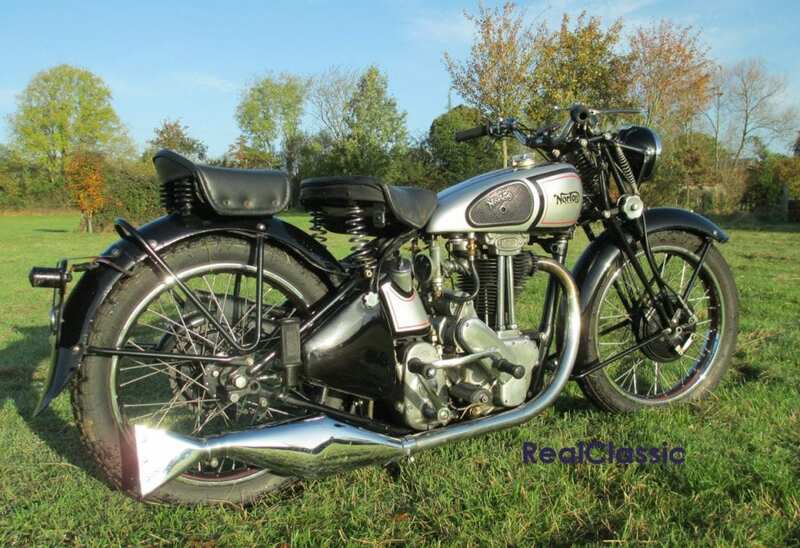 Norton’s big singles can be traced all the way back to the 1920s when the firm’s first ohv 490cc model was designed under the watchful eye of James Lansdowne Norton himself. 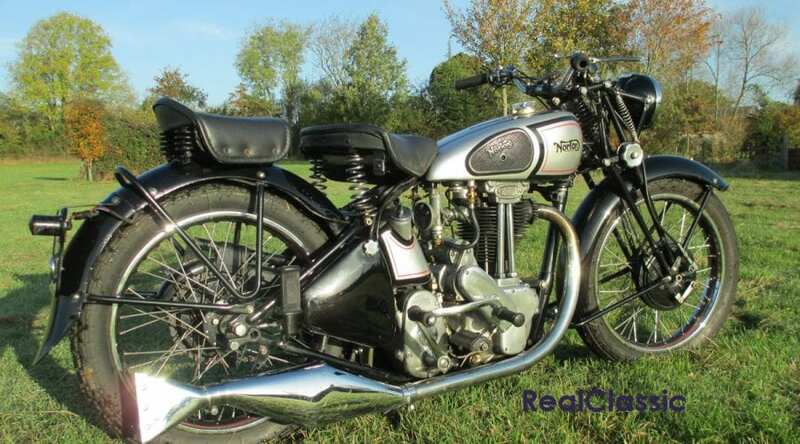 The new motor used the 79mm by 100mm layout of the Norton sidevalve engine to create a world-beating Brooklands record breaker, which also took to the TT track and scooped the honours in the very first Maudes Trophy of 1923. That ohv single spawned a series of sporting successors during the 1920s and 30s. Then when the ohc Manx racers and their International roadbike counterparts arrived, the Model 18 became a practical touring machine which shared the upmarket livery as competition machines. The 18 was joined by the higher spec ES2 in 1928, and throughout the 1930s the 18 inherited engine and frame developments a year after its upmarket counterpart. The big news for 1937, for example, was ‘a new system of valve enclosure’! Plans to overhaul the singles in 1940 were postponed when war broke out. The Model 18 was one of the firm’s first bikes to surface on the post-war scene. In 1946 it was reintroduced with a full cradle but still rigid frame, as seen here, keeping its girder forks and with the motor much as it had been at the end of the 1930s. The ES2 returned in 1947 with ‘modern’ plunger suspension, and both 500 singles were given long Roadholder telescopic forks that year. 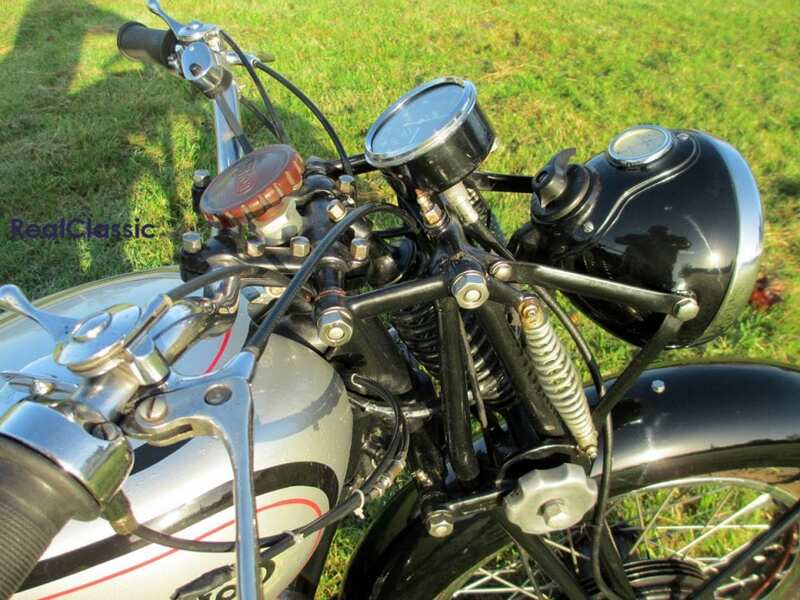 The change to tele forks wasn’t universally appreciated at the time; compared to girders they were felt to limit the amount of steering lock and restrict manoeuvrability, with snubbers needed to stop the fork shrouds clipping the petrol tank on tight turns. 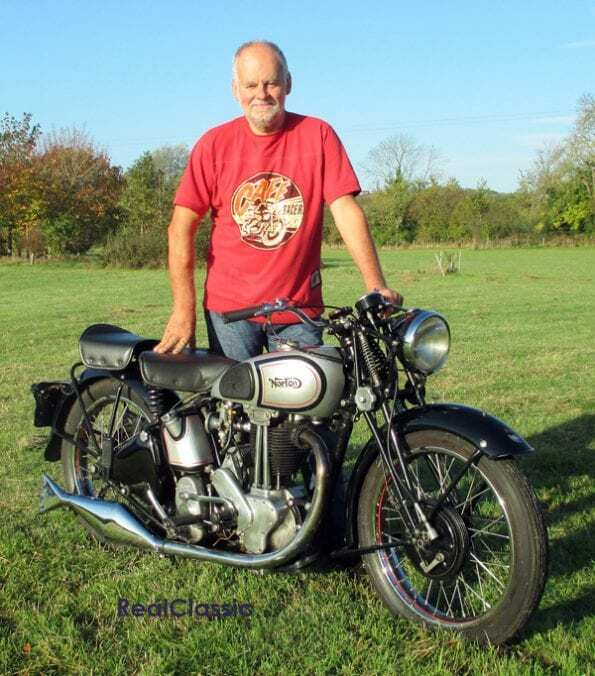 Although most of his motorcycles are later bikes with more advanced suspension, owner Brian hasn’t found it especially hard to adjust to the girder forks up front. ‘Rigid / girder bikes are good fun,’ he says. ‘As long as you let them move about a bit on corners and watch out for deep pot holes they will get you home safely. However, the girders can be expensive to put right if worn, and worn forks really effect the handling.’ Brian deliberately opted to buy an incarnation of the Model 18 which harks back to the vintage era – if that’s a bit extreme for your tastes then the later versions may prove easier to live with. 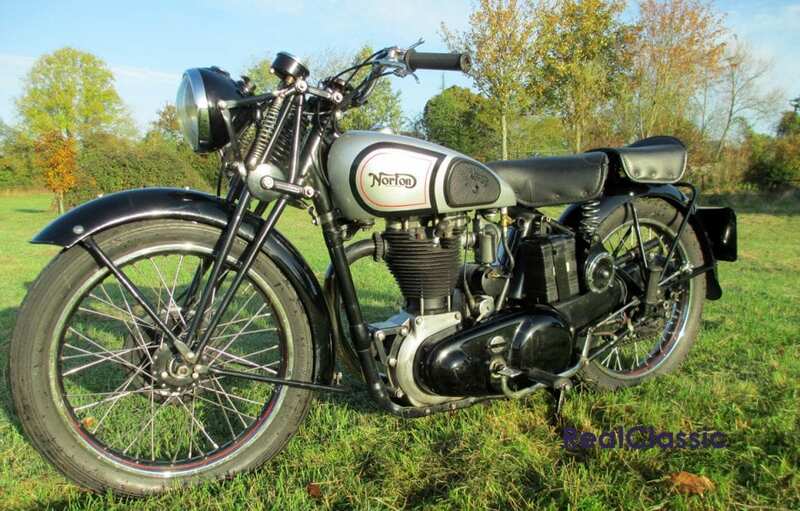 Bert Hopwood modernised the Norton single-cylinder engines for 1948, paying particular attention to the top end, and introducing numerous detail changes to give the 18 and ES2 more torque and less chatter. 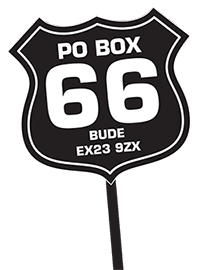 The valve gear, piston skirt, flywheels pushrods, magneto sprocket and top end lubrication were revised, and a new one-piece rocker box fitted. This gave around 21bhp at 5000rpm which equated to a top road speed of just under 80mph but – probably more important to the man in the street – the engine noise, particularly from the top end, was minimised. Other areas worth investigating include the frame. ‘If there are any signs a sidecar has ever been fitted, check the frame very carefully for alignment. Then things like handlebar controls are pre-war and very hard to source. The best advice is to buy the best example you can and make sure you know the correct specification of the bike. If you pay reasonable money for one of these and later parts have been fitted you will struggle to find the correct parts because so few were manufactured.